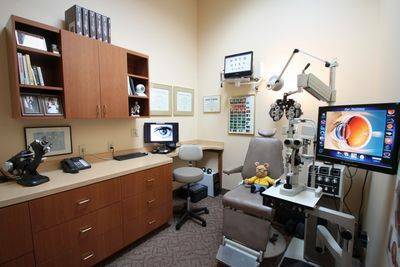 Annual exams at your local eye care clinic in Boca Raton, Florida are very important not only to determine if you need correction to see well, but also to maintain the health of your eyes. While some eye diseases let you know something’s wrong – with symptoms such as red eyes, light sensitivity, or flashing lights – many serious, vision-threatening problems have no warning signs. Much like high blood pressure, most forms of glaucoma, for example, produce no symptoms whatsoever until some vision has been permanently lost. Proper eye care and checkups can help prevent your eyesight being taken from you. Annual eye exams, starting from childhood, can also detect diabetes, hypertension, retinal holes or tears, and other important treatable medical conditions. Refraction – The refraction is the part of the exam that determines the power of your eyeglass lenses or contact lenses. Instruments used include a computerized auto refractor that gives us a starting point for the prescription, as well as corneal curvature reading. 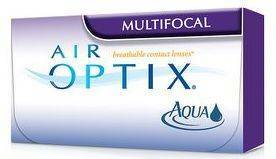 Your prescription is then fine-tuned using a phoroptor to give you comfortable and clear vision. Near Point Testing – Checks the focusing system for weakness, and fatigue in near tasks like when reading or working on a computer. It can also detect problems when focusing from near to far such as looking at your paper on the desk, then looking at the board at school. Eye Muscle Testing – determines how the eye muscles are working in various directions of gaze, as well as alignment of the eyes when focusing on an object. Tonometry – measurement of the pressure inside the eye. High pressures may be an indication of glaucoma. Instruments we use for this test are called tonometers and include a NCT ( gentle air puff) or Goldmann Tonometer. Visual Field Test – we test your central field of vision for any defects that can be caused by neurological disorders, or glaucoma. We use a computerized FDT screener that takes about 45 seconds per eye. Slit Lamp Examination – A slit lamp is a biomicroscope that allows the eye doctor to view structures of the eye. We use this instrument to examine the cornea, lids, lashes, iris, lens, and anterior chamber of the eye. The slit lamp also allows us to evaluate the fit, movement and cleanliness of contact lenses on the eye. Retinal Exam – Allows our Boca Raton optometrist to examine the inside back of the eye. The structures we are looking at include the optic disc, retina, vitreous, and retinal vessels. We often use eye drops to dilate the pupils, opening the pupils wider to get a better view of the back of the eye. Dilation affects your focusing for a few hours, mostly up close, and will make you more light sensitive while the pupils are larger. Bring your sunglasses with you, or we will be happy to provide you with disposable sunglasses to use temporarily. Retinal Photography – The camera takes a digital color photograph of the back of your eye. This is recommended on a regular basis to provide your doctor with a baseline record of your retina, macula, optic nerve, and retinal blood vessels. It is also used to document diseases and any abnormalities that need to be followed over time. Corneal Topography – The corneal topographer is a non-invasive imaging technique for mapping the surface curvature of the cornea. It is used to diagnose and monitor corneal pathology, screen patients for refractive surgery, evaluate patients for contact lenses, and assess the influence of contacts on the corneal surface. Keratoconus and other corneal irregularities can be diagnosed and followed using corneal topography. Want to learn more? Ask your nearby Boca Raton Eye Doctor!